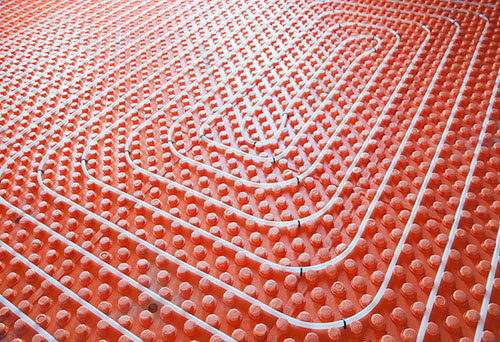 Underfloor heating is growing in popularity. Suppliers, however, have stated that carpet must have a thermal resistance of no more than 1.5/1.7 tog. This is not the case. We now advise manufacturers to subtract a conservative 1 tog from the tested thermal insulation to provide a measure of the ‘real’ thermal insulation of their product when it is used over underfloor heating systems. So, rest assured that carpet can be used over underfloor heating systems and will not impair their performance. We do, however, recommend that underlays with tog values of less than 1.3tog are used.